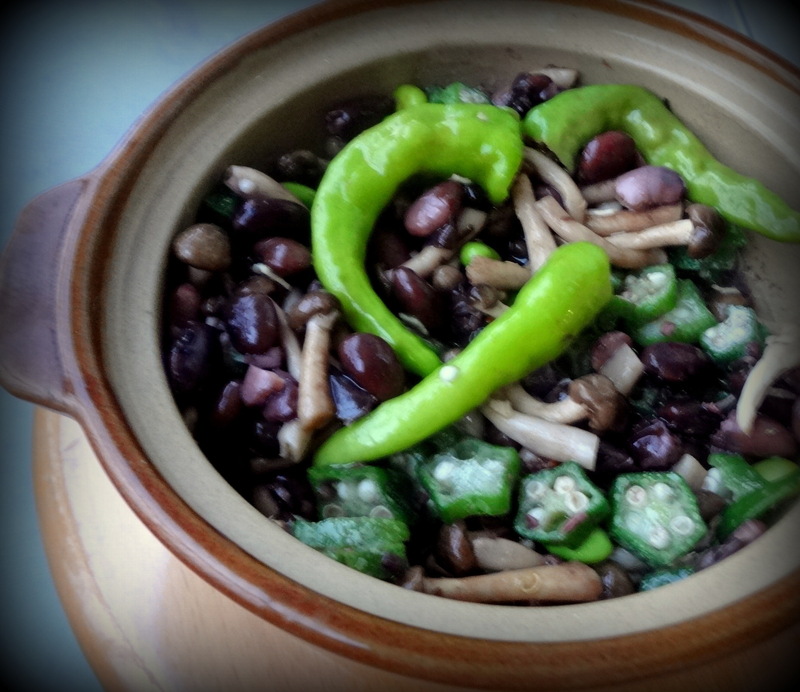 Black beans have a Winter image… I refreshed them with greens and juicy items for a nutritive Summer salad meal. 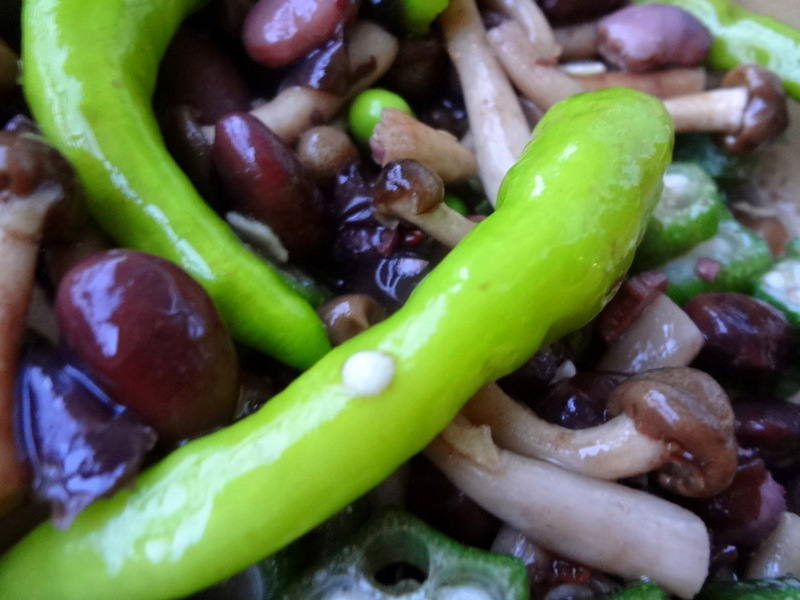 Fragrant argan oil from Morocco, a little garlic, salt and balsamic vinegar for the dressing. 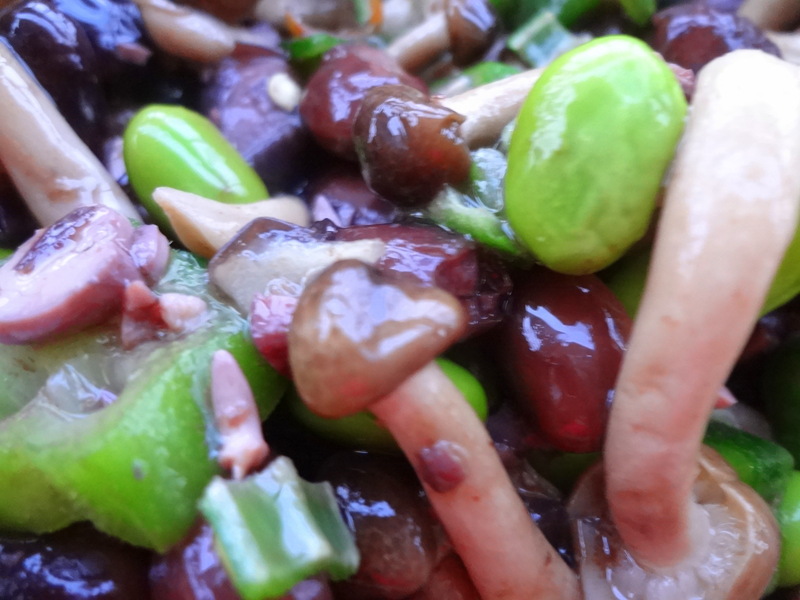 The companions of the kuromame (black soy beans, that were boiled and frozen) are edamame, sliced okra, shimeji mushrooms and green sweet chilis. I’ve added a little minced hot chili. I’ve steamed all that together. Added the dressing, let cool. 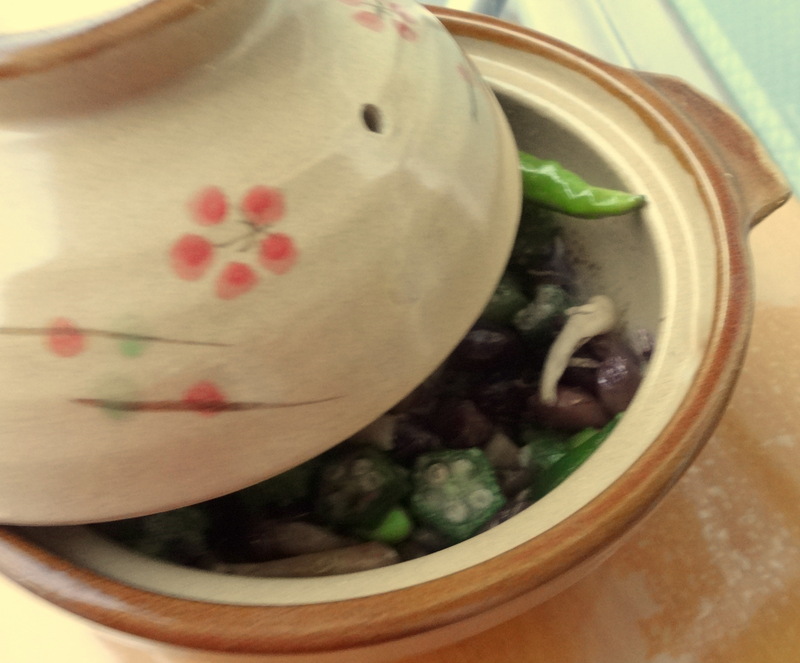 Posted on August 18, 2014 by My	• This entry was posted in Uncategorized. Bookmark the permalink.